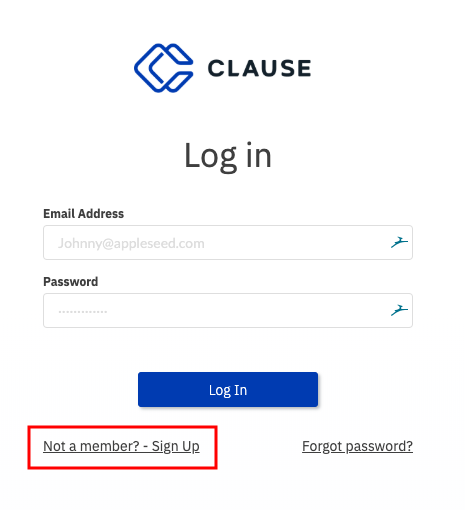 To create an account you can click the "Not a member? Sign up." link on the http://hub.clause.io website. After entering your new account details you will receive an email to confirm your email address with a link that you can use to log in to the platform. 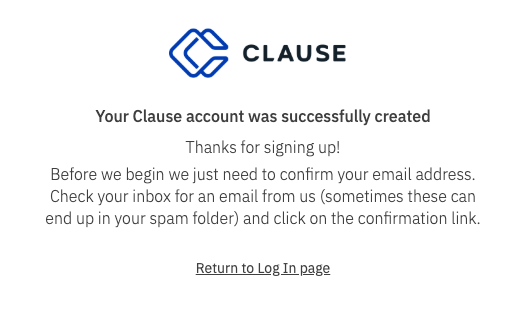 Enjoy using Clause, and don't forget you can chat with us in real-time using the chat bubble icon in the lower right hand corner.